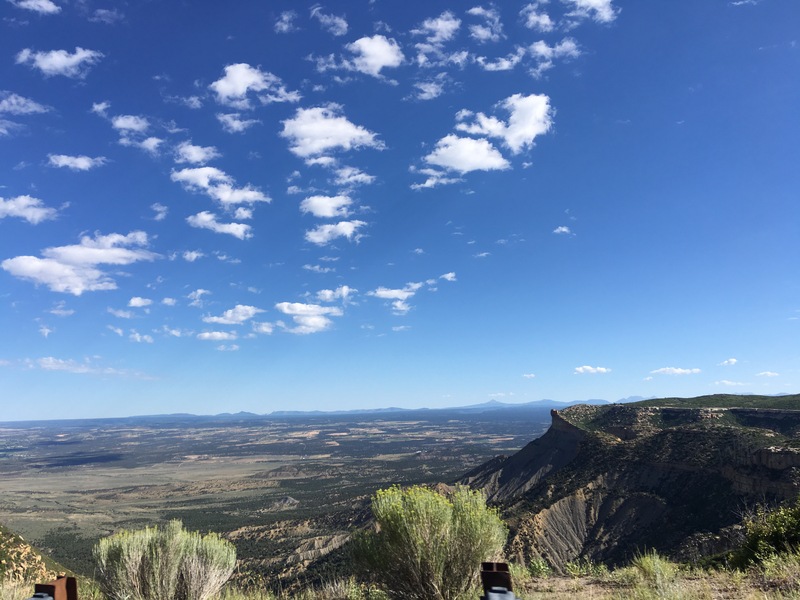 The drive to the top of Mesa Verde is beautiful, with incredible views of the surrounding Colorado countryside. Being 9,000 feet above sea level gives you a stunning perspective on the world. 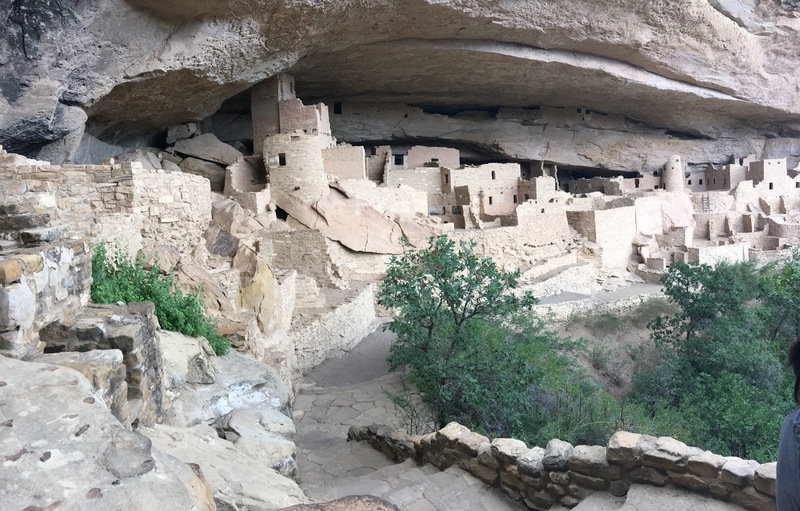 But you don’t go to Mesa Verde for this view. 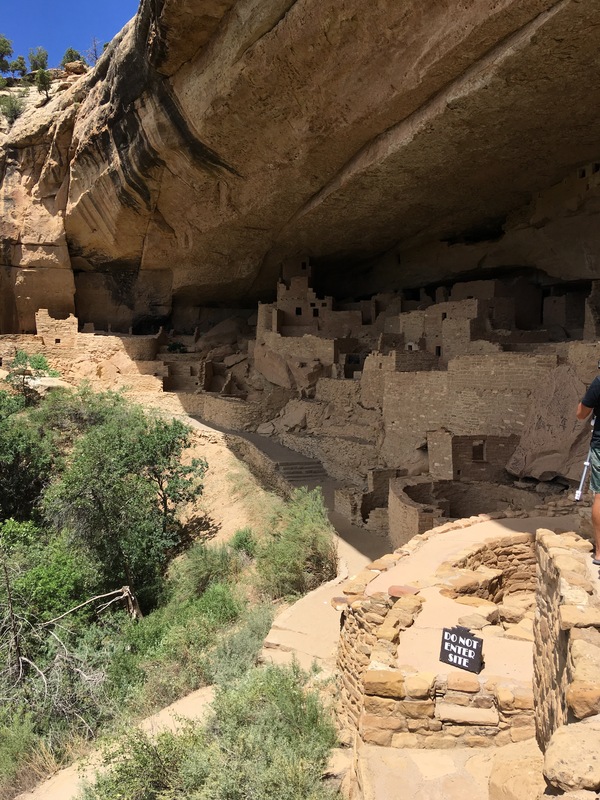 You go because of the ancient dwellings built between 600-1200 AD–and getting out of the car and hiking into the ruins will give you an unforgettable experience. The last time I visited was 30 years ago, and we didn’t do much hiking. So we made sure to give time for a tour into Cliff Palace, and bought tickets for an afternoon tour. 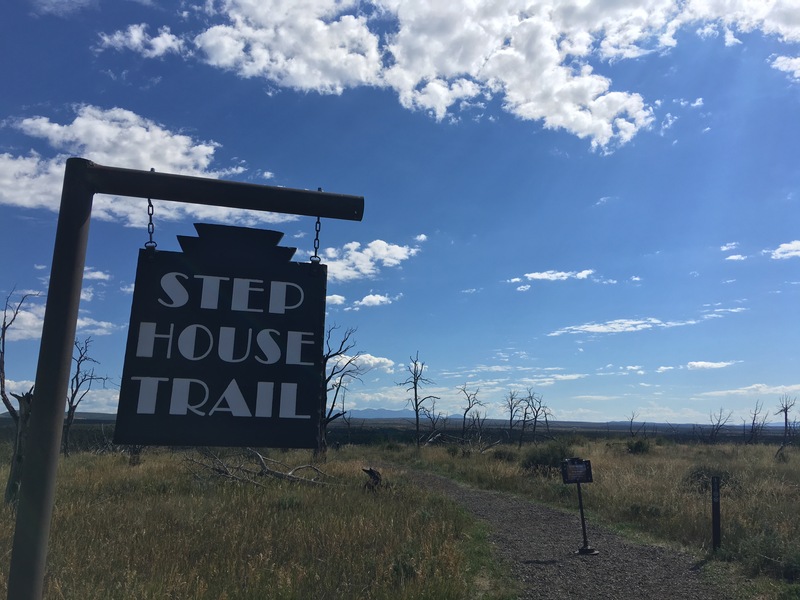 Because we arrived early, we had plenty of time to drive out to the less-visited mesa, Weatherill, and take a self-guided tour of Step House. 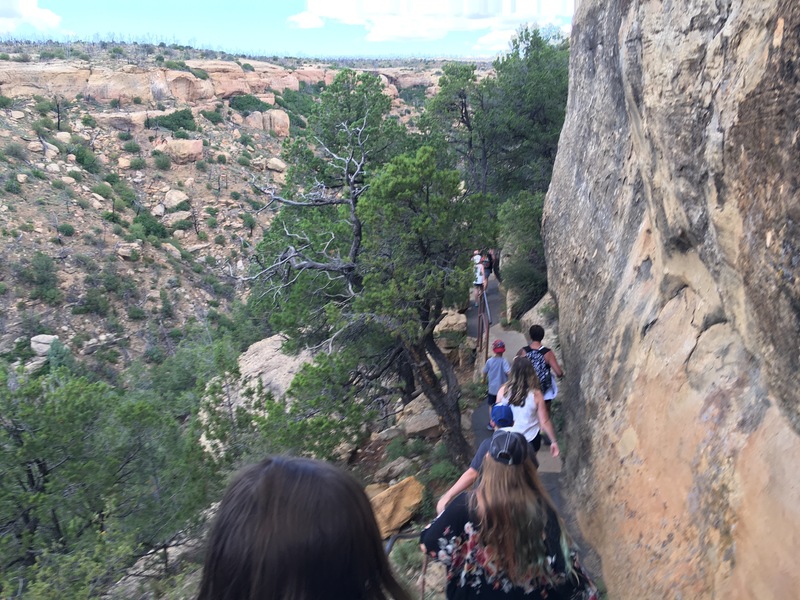 It’s an easy hike, paved all the way, but it is on the side of a cliff, so the kids were a little nervous, and we kept them walking on the inside. But the trek down is worth it, because Step House shows two completely different time periods. 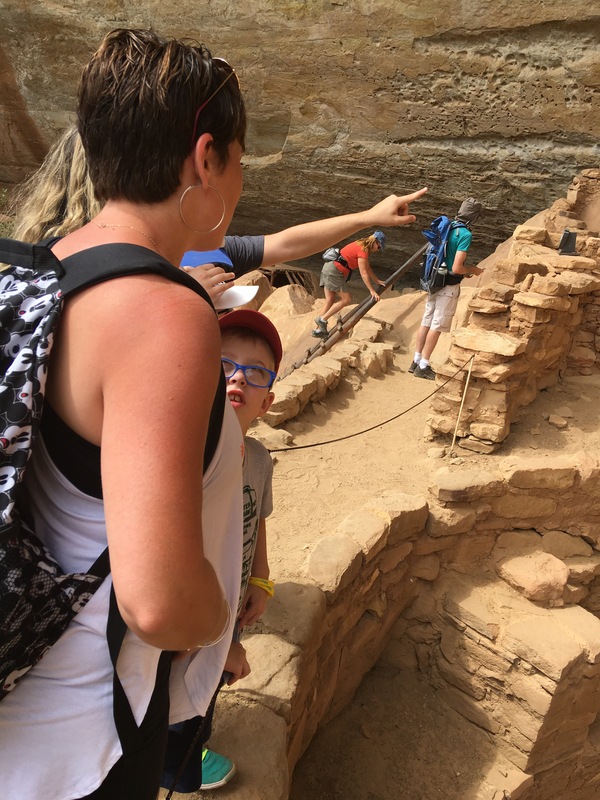 And the chance to climb into a dwelling and see petroglyphs and handprints of the ancients gives you a strange connection to the past. After a quick lunch at the Far Views Cafe, we drove out to Cliff Palace for our guided tour. We arrived early and got a chance to look down into the ruins we would be visiting. Then we met Ranger Paula, who would guide us down. She reminded us all of my grandmother. The steps down into Cliff Palace were narrow and the ladders into the site were tall. Some of the family and the rest of the tour group was a bit nervous as they made their way down. Once we got in, it was worth the wait and climb. 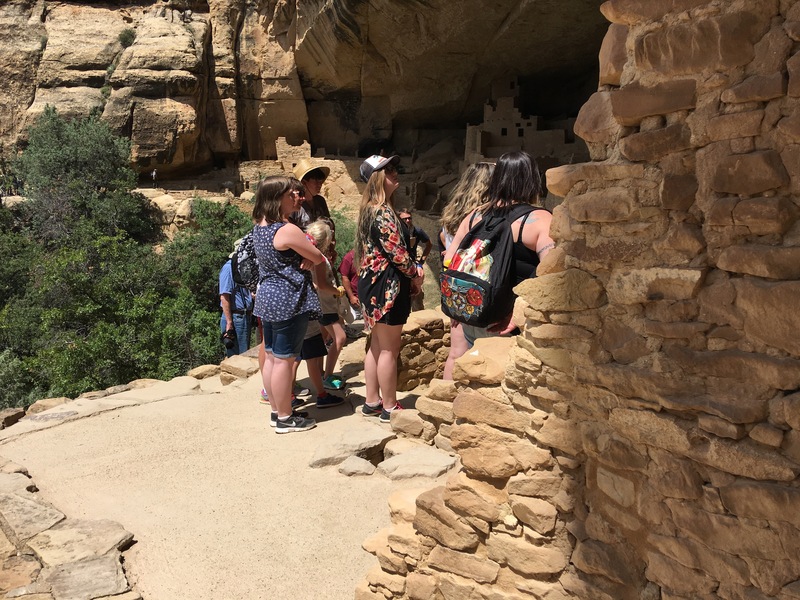 Our family sat and listened to the bats hiding in the ruin, heard the history of the place, and soaked in the incredible vistas. Even the little kids were quiet in the moment. Walking through the ruins and seeing one of the last remaining paintings, created more than 800 years ago, was something all of us agreed was unforgettable. 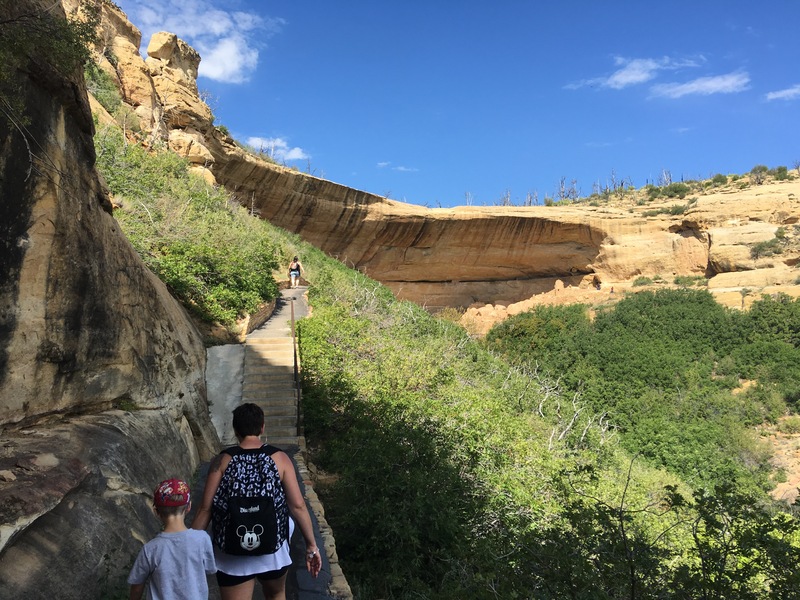 Every moment spent in Mesa Verde was worth it. Driving back down the mountain, we were caught up in reliving every moment, grateful for the day of adventures. 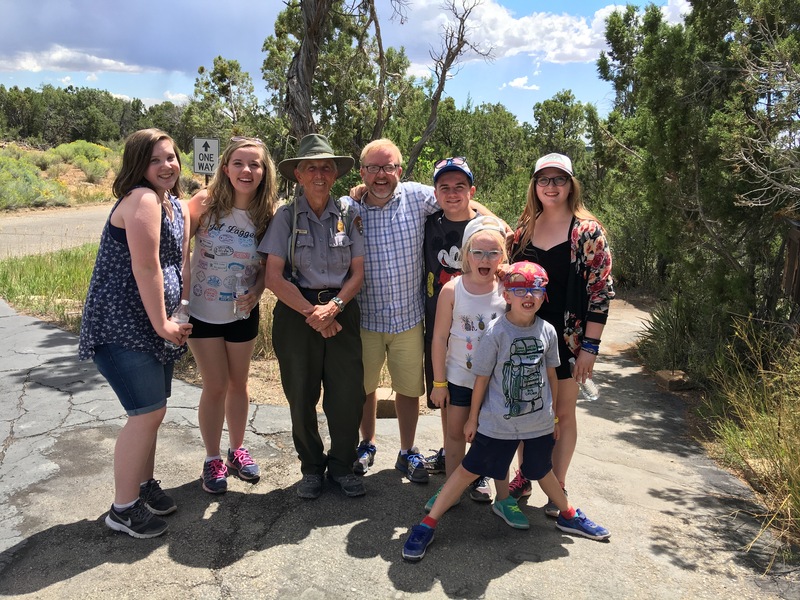 Great conversations with Ranger Paula and Ranger Melissa reminded us that our country is full of great people, and we all actually have much more in common than the media may want you to believe. This is why road trips are so important. Memories and moments you will never forget in a country full of them: just go see it.